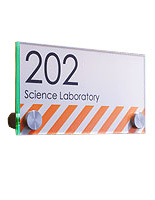 These Interior Office Signs Display Graphics and Signage on the Door or Lobby Wall! 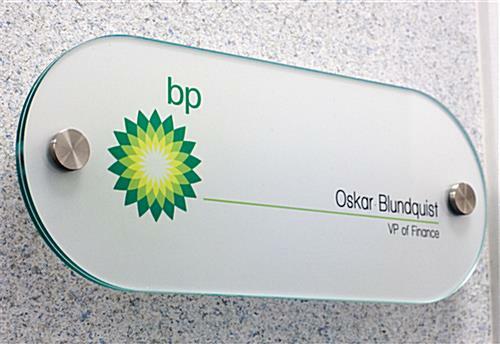 These Corporate Holders Are Custom Indoor Plaques with an Easy to Use Design! 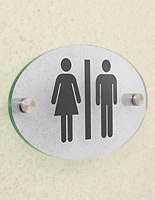 These Interior Office Signs Can Be Purchased with Confidence! Ready to use Print-Your-Own signage system! Green-edged clear acrylic panels measure 10" x 4". Stylish stainless steel standoffs are easily installed. 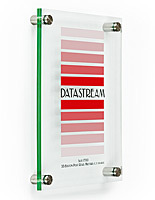 Mounts to doors or walls in offices, lobbies, galleries or any location. 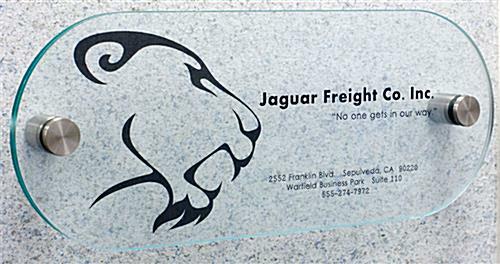 These interior office signs, often called custom indoor displays, emulate the appearance of glass without the fragile construction and the high price tags associated. The acrylic material has a modern green-edge along the border that coordinates well with most decor. These interior office signs which have oval designs are very affordable, especially by comparison to the other DIY options on the market. The lobby graphics systems include two film options, frosted and clear, to further customize the displays. 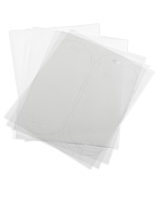 There are three sheets of both styles, so users can choose the best for the situation. 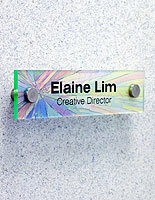 These interior office signs come with multiples to allow for content alterations in the future. The insertion of messages and installation is very convenient. These interior office signs with mounts come with templates available for download below, so users can insert their custom information quickly. Once the signage is printed, users are able to position the messages in the appropriate place and hold them steady with the standoffs. 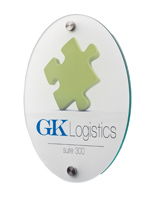 These interior office signs that mount to the display surface are 10" x 4" oval display panels. The corporate lobby messages are often used in order to label areas with room numbers or name tags, to best help visitors find their destination. 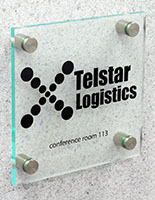 These interior office signs, frequently called custom graphics systems, are frequently set-up throughout establishments, such as medical facilities, educational buildings, and convention centers. The indoor signage displays grant the users the unique opportunity to make fully customized messages specialized for visitors. 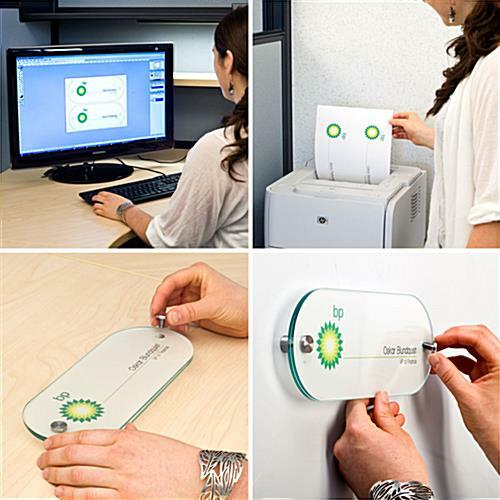 These interior office signs may be customized entirely by the user with the aid of a personal printer. Visiting a printing press is completely unnecessary. These interior office signs are intended to give the administrator all of the power. Print any custom message immediately. 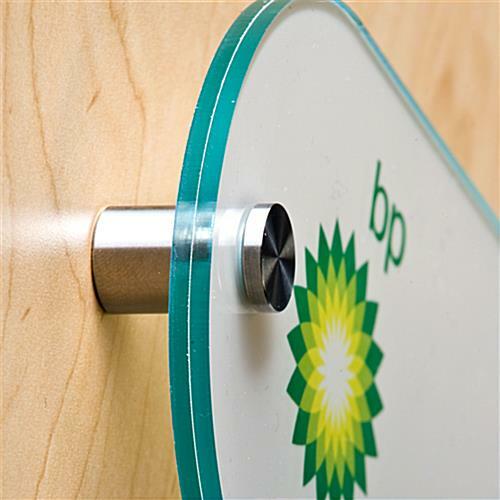 These interior office signs that have an oval design are sandwiched between the panels and mount with the aid of metal standoff hardware. Even though the units are commonly found on walls and doors, they can affix to almost any flat surface. I purchased over 40 of these door signs to place throughout our entire building. Very sharp looking, the templates are easy to work with, customize and add logos. Only gripe I have, once printed they are hard to tear apart, the perforation is hard to work with and have to use scissors to cut them out from the sheet. All in all everybody loves them and they look great! Thanks for your great review Cren. We understand your comments regarding the difficulty in separating the prints. Unfortunately, it is a necessity because we need to ensure the die-cut sheet will not separate while it is fed into your printer.